Do you need landscaping services for your home or business? Count on Bubba’s Landscape in LeRoy, NY! 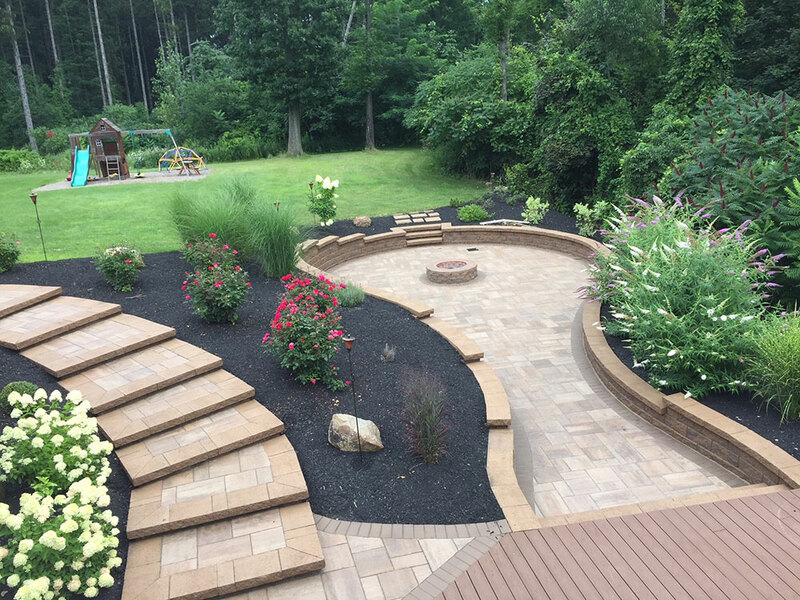 We’ve worked on dozens of residential and commercial landscapes throughout Western New York, including Batavia, Geneseo, Caledonia, Pavilion, Warsaw, Pembroke, Corfu, Stafford, Bergen, Byron, Oakfield and the surrounding cities. From fertilizing your lawn to setting up a stone pathway, we have the experience necessary to get the job done right the first time. 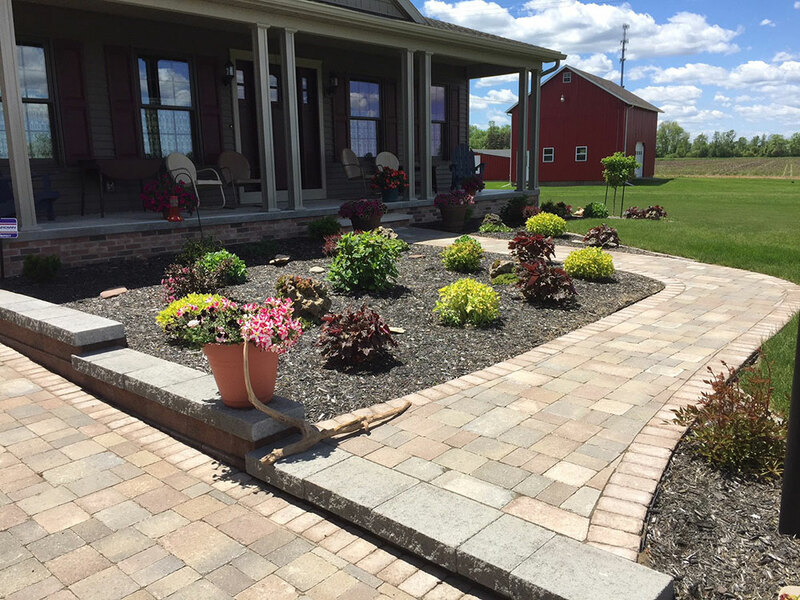 Bubba’s Landscape was founded in 1994 by John, who was committed to creating beautiful and fully functional landscapes throughout LeRoy and the surrounding area. 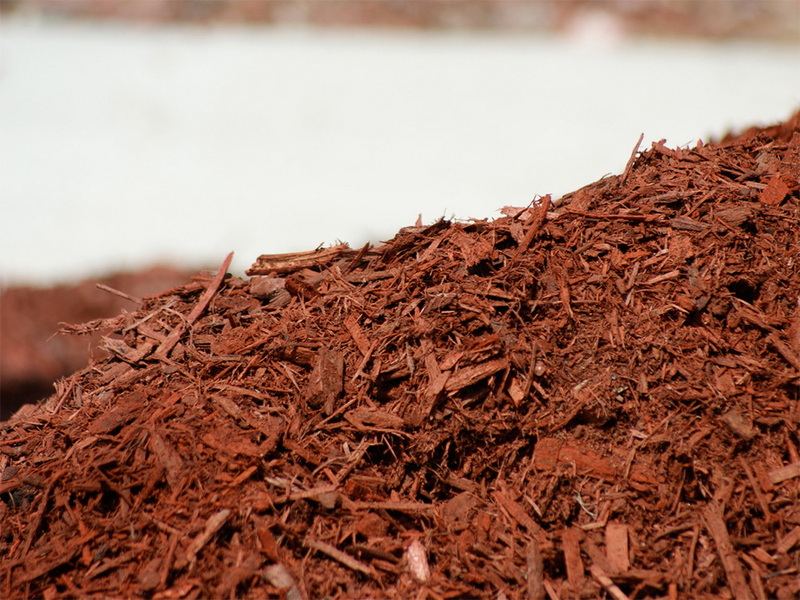 Even though we’ve expanded to a team of over a dozen workers who work with a fleet of over 15 service trucks, state-of-the-art equipment and storage facilities for mulch and salt, we’re still family-owned and dedicated to providing comprehensive and friendly service on every project, no matter the size or difficulty. Whether you need your driveway shoveled or new flower beds for your front lawn, you can count on our superior attention to detail, timely completion and competitive rates for any kind of landscaping work you need! "Beautiful designs… love Bubba." Kathy L.
"Best topsoil around. Super friendly and easy service." Jon S.
"I highly recommend Bubba’s Landscaping!" Tara H.
"Thank you so much. Your driver did a great job on my driveway." RuLee A. "Bubba’s installed trees and arborvitaes in my backyard over the summer. The crew did a phenomenal job and the attention to detail is impressive. The quote was very reasonable and no surprise costs after the job was complete. We would HIGHLY recommend Bubba’s to anyone who is looking for an awesome landscaping company." Lisa E.
"We have used Bubba’s for years, landscaping, fall clean up’s, and snowplowing! Very responsible, timely and takes pride in their work! If it isn’t right he will fix it without question. He works to make the customer happy!"